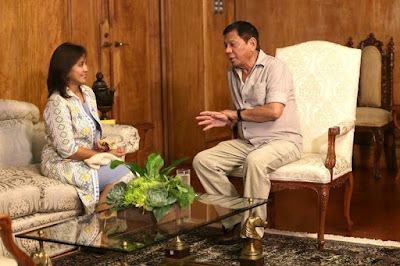 Vice President Leni to receive Thai honor TODAY! Vice President Len Robredo, the Philippines’ second highest official, will make her first foreign trips this week. She is scheduled to receive a recognition from Queen Sirikit of Thailand as one of the “Honorary Outstanding Women of 2016” in commemoration of Thai Women’s Day today. The Thai Women’s Day celebration and the commemoration of the 70th anniversary of King Bhumibol Adulyadej and the 84th birthday of Queen Sirikit, are being hosted by Thailand’s National Council for Women of Thailand, under the auspices of the Royal Patronage of Her Majesty the Queen, Ministry of Social Development and Human Security, Ministry of Interior and the Ministry of Education.